Ready to grow your SMS marketing list? First things first, always offer an incentive with undeniable value. 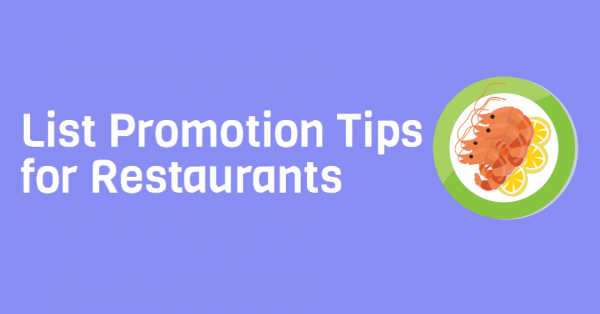 Tons of restaurant owners increase foot traffic and encourage upselling with this affordable mobile communication tactic. But, if not done correctly, you can easily discourage customers from ever engaging in the future. Increase trust with word of mouth engagement. Educate your servers about opt in details, as well as the benefits of joining your list. Brief them on potential concerns, and offer a reward for the server who gathers the most opt ins. At the bottom of every customer receipt, print up a short blurb about your SMS marketing list and opt in details. Don’t clog up space with unnecessary words. Simply include opt in instructions, a loaded incentive, and call to action. This is, by far, the most common promotional technique. Print up an irresistible incentive on your table tents. Don’t forget to include opt in instructions. Promote your SMS marketing list on Facebook, and even Twitter. Provide a call to action and opt in details, but never give away the actual offer. For example, if you’re running a 20% off sale, promote this offer, but don’t give away the actual mobile coupon code. When promoting your SMS marketing list, keep these few quick tips in mind. Include detailed opt in instructions. Finish with a quick call to action. Don’t forget to follow CTIA standards and include necessary HELP and STOP instructions. Remember, if you don’t promote your SMS marketing list, it simply won’t grow. Make the most use of this mobile tactic by testing out the above promotional techniques. Partner up with top online texting service, Slicktext.com today. Give us a call at 1.800.688.6290 to sign up for your free plan.